Great Deer Chase will be held Saturday, August 17th, 2019 in Calumet, Michigan. Run on that special breed of trails the Great Deer Chase is a mountain bike race that is fun for everyone – from first-timer to expert. The 15- and 30-mile race courses have not yet been set for the 2019 race. You can see last year's map by downloading the handout map below. Each year the 15- and 30-mile races begin at 11:00 am ET. The kids races will start at 9:00 am ET. Awards for all races will take place at the corner of 5th and Oak Streets in downtown Calumet at 3pm. 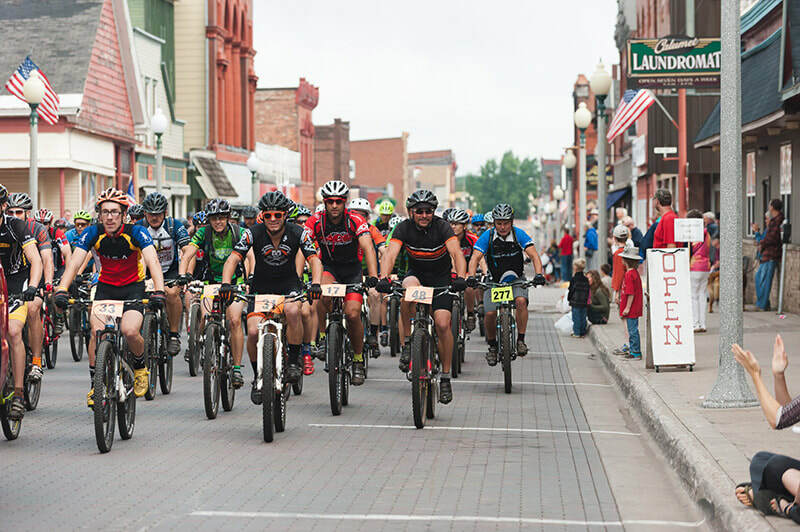 Ride in the 30- or 15-mile race and select Single Speed as your category to compete against other single-speeders. Ride in the 30- or 15-mile race and select Fat Bike as your category to compete against other fat bikers. Our local restaurants not only serve excellent food but also support the trails. ​Main Street Calumet will also be hosting Pasty Fest in Agassiz Park where they will be serving up an area favorite – pasties! ​. Fill your bellies and peruse the downtown shops – full of unique area goods. Many of these business are our supporters, so if you stop in, let them know you were here for the race.